Today in Ali Sabieh Girls Run 2 team members worked on plyometrics, jump-training, short sprints, and weight-lifting. Practice ended with a meeting with coach Fathia. 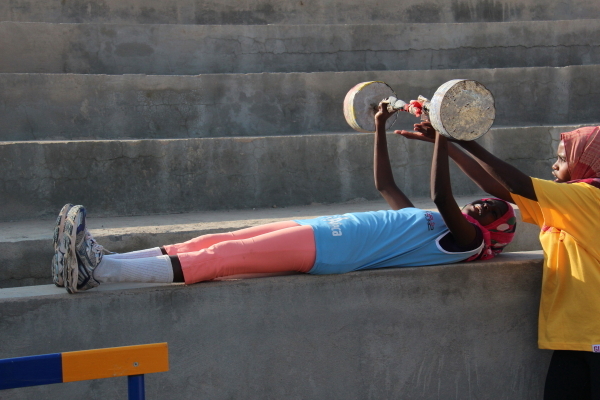 Another lovely day of hard work and progress for Girls Run 2 in Ali Sabieh as they prepare for upcoming competitions. Encourage the runners, ask questions, offer training suggestions, simply drop us a note. We will make every effort to respond.